A lead is a tool in Minecraft that is used to tether and guide passive mobs with the exception of bats, squids and turtles. A lead is often referred to as a leash which illustrates what a lead is used for. A lead is crafted with a crafting table from four string and one slimeball. The crafting process creates two leads for each set of ingredients used. Open the crafting menu and you will be presented with the 3×3 crafting grid. 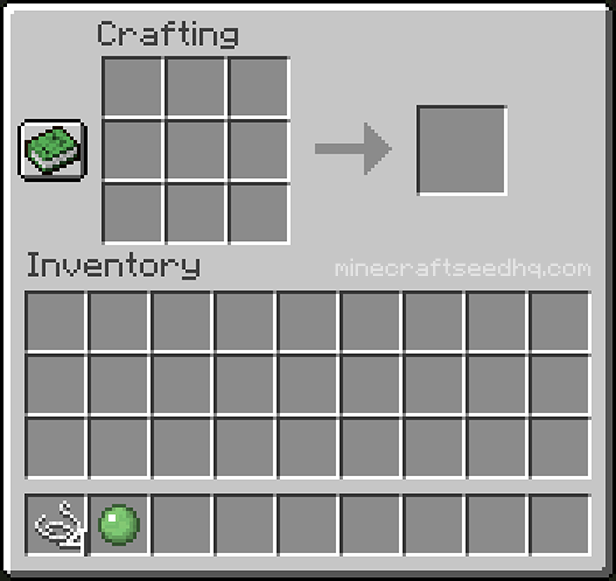 When all items have been placed in the correct positions on the crafting grid, the lead item will appear to the right of the 3×3 crafting grid. This recipe produces two leads from one set of ingredient items. Move the lead into your player inventory.